DETROIT -- Uber is pledging $5 million over the next five years to seven organizations that work to prevent sexual assaults, a move aimed at helping the ride-hailing service combat its own problems as well as society as a whole. The world's largest ride-hailing company says the money will help the organizations fund their own programs as well train 150 of Uber's customer service agents as part of a new team to deal with sexual assault reports, including how to interview people reporting improper conduct. The initiative was announced Monday and comes at a time when Uber is trying to polish its image, which has been tarnished by investigations that found rampant sexual harassment of employees and multiple reports of drivers assaulting passengers. The issue of sexual harassment has exploded on the national stage as women have been coming forward with complaints against film producer Harvey Weinstein and high-profile influencers in other industries. 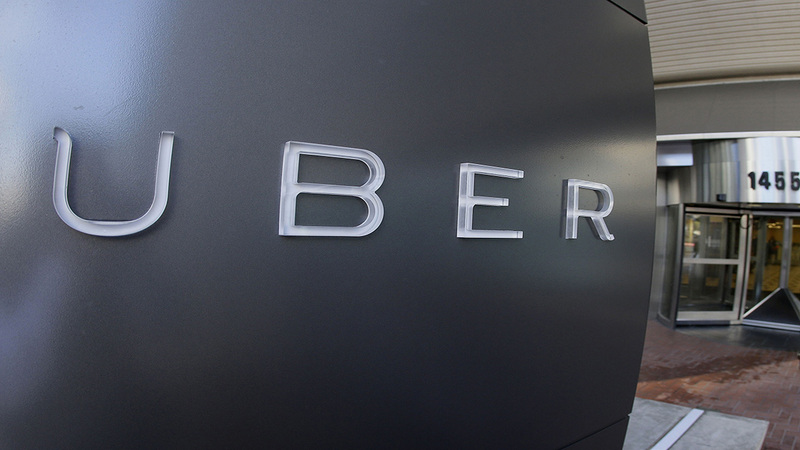 Under Uber's stepped-up efforts, team members receive training on how to respond to sexual assault and harassment from experts in the field, including letting a caller talk without interruption, coaching employees how to ask questions that aren't judgmental, and offering resources to victims such as law enforcement information and a national crisis hotline phone number. In addition, drivers and passengers will get messages via Uber's app referring them to information on how to intervene peacefully as a bystander and how to spot signs of trouble. Raliance, a consortium of groups set up to prevent sexual violence, will get much of the money from Uber. In 2016, the National Football League made a $10 million commitment to the group after a spate of domestic violence assaults on women by players. Kristen Houser, spokeswoman for Raliance, said it is in the early stages of its work with Uber, but it sees the company's app as a way to get messages to millions of people about prevention, including resources for victims and how people can set standards for acceptable behavior. Uber says the problem of sexual assault and harassment is a larger societal one and not limited to its service. But the company has been plagued with troubles involving its own drivers as well as within its corporate culture. During the past three years, dozens of women have complained to police that they were sexually assaulted by Uber drivers, according to news reports reviewed by The Associated Press. In June, the company ousted its co-founder and CEO Travis Kalanick after a female former engineer wrote a blog detailing how she was propositioned by her boss. An investigation of sexual harassment and bullying resulted in the firing of 20 employees, and the company has promised changes. Experts say that while well-intentioned, there's little research to show that broad prevention programs like the one Uber is introducing actually work. "No study or data shows any effectiveness of high-risk males," said Neil Malamuth, a psychologist at the University of California, Los Angeles, who studies sexual violence. His research on programs at colleges and universities, however, found that there may be benefits for low-risk men. Malamuth said he's concerned that the $5 million sum is designed to boost Uber's image, creating an impression that something useful is being done without any research to back it up. "I suspect the motivation is not all purity of heart, for sure," added Emily Martin, general counsel for the National Women's Law Center. "But that doesn't mean complicated motivations can't result in good work." Martin said Raliance is well-respected among prevention programs, and its advice to Uber about how to handle complaints seems to be on target. Spending the money over five years could fund some good work on the broader goal of sexual assault prevention, but "not an amount that changes the landscape in any significant way." Tracey Breeden, global safety spokeswoman for Uber and a former police officer, said that taking some action is better than doing nothing. "That's why we're listening and learning and trying to speak with experts in this space," she said. "Our hope is it will have a positive impact on our communities."